Explosions and their effects on military structures (bunkers, depots) have been part of military research for many decades. Resulting design criteria for these structures, whether publicly available at all, comprise only highly limited applicability in civil window and façade design from architectural point of view. 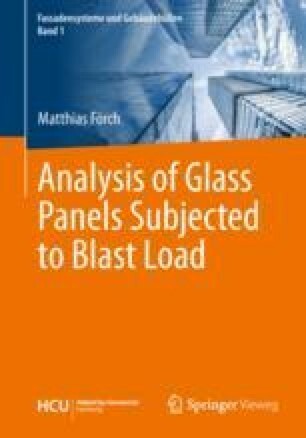 During Cold War a research contribution to a certain extent was publicly available on the subject of the resistance of structures to atomic blast, e.g. Newmark (1953), Norris et al. (1959) and Iverson (1968).